From bluesy, pop debuts to rock galore, the second half of 2008 is promising to be an even bigger bang. As the newcomers and giants of the music industry gear up for album releases, Instep gives you the five albums to watch out for this year! If the first half of 2008 was made excited by Strings and their return with Koi Aanay Wala Hai, the second half belongs to Ali Azmat. 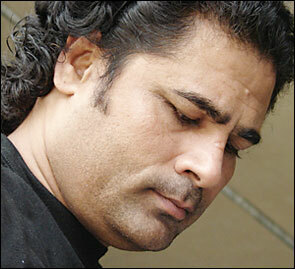 In 2005 he stunned some of the harshest critics of Junoon with his solo record, Social Circus. But if Social Circus was about introversion, Klashinfolk is about extroverted side of life. Recorded at Mekaal Hasan's Digital Infidelity studio, the album sees Ali Azmat don the role of producer, singer and songwriter for a second time. Composition credits belong to Ali while he has jolted some of the lyrics himself with a few others with noted lyricist Sabir Zafar. As for the sound, it really is a 360 degree turn for Ali. Having heard a few ditties such as 'Sawaal', 'Gallan' and 'Balaman', it is clear that the electronic wizardry, one first heard on Social Circus, has disappeared altogether. 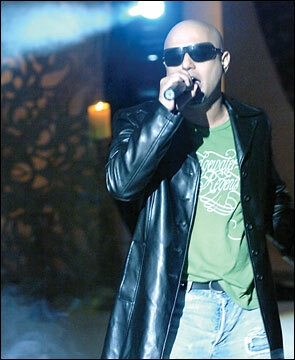 And this time Ali Azmat has attempted an edgier and raw sound. The influences range from Steely Dan to Coldplay and Radiohead among many others. "I call it urban folk music," explained Ali Azmat while speaking on his hotly-anticipated new album. "The name Klashinfolk is not just inspired from the gun culture we live in but the general chaos and the uncertainty that surrounds us," concluded Ali. While one driving force behind Social Circus were the synthesized sounds, on Klashinfolk it is all about live music. "We rehearsed and then played the album out and it took us three days to do it. It is a live album and nothing like Social Circus," clarified Ali about the sound. Another interesting development on Klashinfolk is the line-up it includes. Other than Ali Azmat, the players on Klashinfolk include Omran Shafique on guitars, Kamran Zafar aka Manu on bass guitars and lord of drums himself Gumby. With two videos, one with Zeeshan Parwez and another shot in India, Ali is looking at September as his release. And we can bet, Klashinfolk will be as unpredictable a record as the man behind it. The last time we heard Shafqat, he was singing the tunes of Ramchand Pakistani and proving yet again that when it comes to vocal magic, he is unbeatable. Post-Fuzon, there have been a number of stories about what Shafqat will be doing. So for the record, the big man with the bigger voice is not doing an album with Rohail Hyatt and neither is he planning on releasing a Sufi album. Shafqat is picking up from where Fuzon left off. But he promises that it won't be another Saagar. It'll be different and hopefully better. In between offers from Bollywood, Shafqat has been wrapping up his solo album and he will wear the hat of singer, lyricist and songwriter on the album. "I haven't decided on a name yet but I am definitely looking to release my album in September 2008," Shafqat confirmed to Instep. Even though the album is being backed by an Indian record label, Shafqat is still working with musicians from this side of the border, to make sure that the signature Bollywood sound doesn't creep in from the side. Shafqat has revealed that even though most of the album will be sequenced, the live sound has contributions from Imran Akhund, famous for collaborations with Shehzad Roy, plays the guitars while Sajid is on flute and Shani takes on the role of the producer. "I was planning a Sufic album but as I went along, I realized that it was something else so I won't call it a Sufi album," explained Shafqat. As for the sound, it'll tip towards the softer, mellow side with concentration on melodies. Here's one solo effort that'll definitely be something. With Shafqat's classical background and understanding of the reach of pop, this record will be one hell of a listen! The three youngsters from Kaavish, Jaffer Zaidi, Maaz Maudood and Raheel, first shot to the limelight with their beautiful single, 'Bachpan' and since then there has been no looking back for this trio. 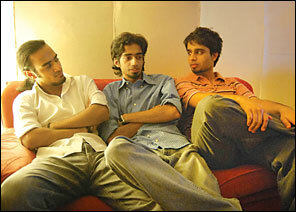 Now in 2008 we will finally see Kaavish release their debut record, Gunkali. For those unaware of the meaning of their title, it refers to a morning raag, which Kaavish interpret as a beginning for them. Their name Kaavish meanwhile means struggle. Yes, these boys have struggled but they haven't compromised on their songs. Teaming up with music producer and engineer Faisal Rafi - who co-produced Rahat Fateh Ali Khan's Charkha and played engineer to some tunes on Strings's Koi Aanay Wala Hai - Kaavish have aimed for complete live instrumentation on their album. While front man Jaffer Zaidi dons the role of composer, Maaz, Daniel alongside Jaffer and various others including Nayyara Noor (Jaffer's mother) and Anwar Maqsood have penned the lyrics. As for the music, it's definitely different. Having heard the rough cut of this album, it has to be said that Gunkali is for 2008 what Fuzon's Saagar was for 2003, a purely delightful melodic record. Kaavish have even re-done their released singles, 'Bachpan', 'Choti Khushiyan' and 'Tere Pyar Mein' to make sure that these tunes get the right treatment under the watchful eyes of their producer Faisal Rafi. Some of the biggest names from the music industry have played on this album. They include drummer Gumby, guitarists Omran Shafique, Aamir Zaki, Abbas Premjee, Shallum Xavier as well as the band itself. One interesting bit about this album is the concentration on soft, slower melodies and the focus on piano, an instrument that somehow gets neglected in our music scene. Heartbreaking, melancholic and truly beautiful, we bet Gunkali will be one of the best albums you'll hear… ever. 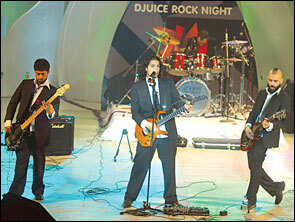 As far as female voices go in the mainstream music scene of Pakistan, we're sorely lacking behind the world. Not since Nazia Hassan and Hadiqa Kiyani have we been so excited by two female musicians. And they are Zeb Bangash and Haniya Aslam, the two girls who first made buzz with their single, 'Chup'. With a couple of shows behind them, industry insiders are already impressed by this duo and they include the likes of Rohail Hyatt, Shahi Hasan, Zeeshan Parwez as well as countless others. Between the two of them, they can channel voices that touch other singing prodigies like Tina Sani, Janis Joplin, Sarah Mclachlan and Lene Marlin. "Our songs are about universal emotions such as longing, love, desire and loss," explained Haniya while speaking on their upcoming album. Chup not only sees the debut of Zeb and Haniya but unites them with Mekaal Hasan who has produced the album. Other artistes involved in this album include Gumby, Shallum Xavier, Kamran Zaffar, Co-VEN men Hamza Jaffri, Sameer Ahmed and Sikander Mufti as well as Mauj man Omran Shafique. What separates this album from a plethora of other is its bluesy feel. Most of the songs on this record, have, after all been composed on the acoustic guitar. "It has a varied flavour and mixed genres. From Eastern and folksy songs to even Bollywood, the inspiration is drawn from a number of musical styles," Haniya stated explaining the sound. So inspired by their music that Saqib Malik has taken the task of directing their first video, for the single, 'Aitebaar'. Their tunes, 'Chup' and 'Chal Diye' that have been available for download from their website has further increased interest in these girls. By the time this article goes in print, Zeb and Haniya's Chup should be out in markets. So grab a copy now! Its funk, its punk, its groovy… it's Mauj. Even though Mauj have been around for a few years now, their self-titled debut record hasn't been able to see daylight… until now. With a record deal in hand and a video (set to be directed by Zeeshan Parwez) in the pipeline, the band spearheaded by Omran Shafique is all set to release their album later this year. With tunes like 'Khushfehmi' and 'Paheliyan' and gigs all around town, Mauj have managed to do what few others can: establish a loyal listenership and win critics over. Omran Shafique remains the band's most credible asset who shares lyrical responsibilities with Mohsin Atif and dominates the songwriting aspect of the album all by himself. Having heard their singles like 'Mona', 'Baat Barti Gayi' and 'Awaaz', it is clear that this is not a one-hit or even two-hit wonder band. With solid compositions, rock and funk galore, Mauj are hugely different from the other rock acts. Their songs have the kind of punk fun that reminds one of British acts like The Libertines and The Kills. The words can be sarcastic at times, solemn and introspective at other times, just like the tunes. Their live shows - with Omran Shafique on vocals/guitars, Sikander Mufti on drums, Hamza Jaffri on rhythm guitars and Sameer Ahmed on bass - are fiery and with their record coming out, these shows will become even more exciting. Mauj don't make kill-yourself-depressing music, but even so they attempt the more restrained and complex of emotions as far as songwriting goes. It is this treatment of each song that sets them apart and this is exactly why we think that their debut will be one album to watch out for.